As we were paddling along the Haleiwa Bay, we heard shouts and yells coming from behind the boat harbor wall! 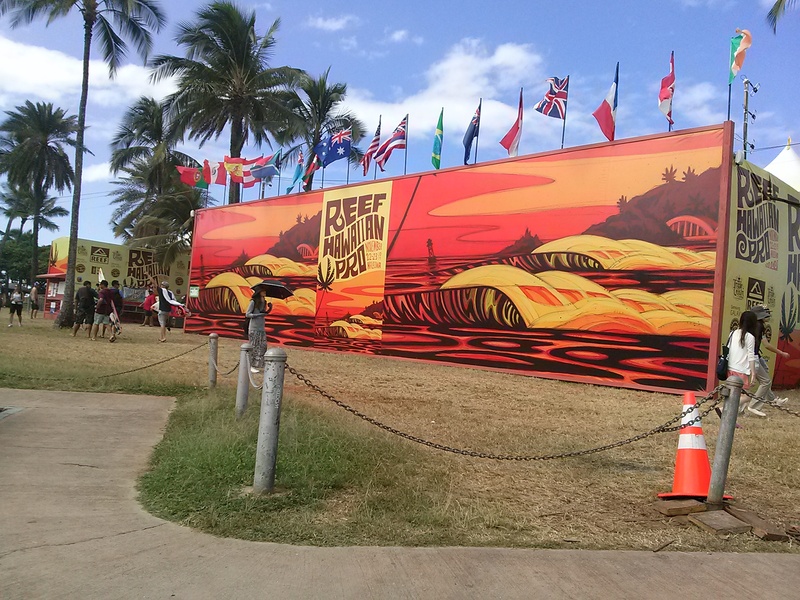 It intensified as we came closer and just as we got far enough on the ocean to peer past the wall..to our surprise and delight a HUGE CRY exploded from the 2014 Reef Hawaiian Pro of the Vans Triple Crown Surfing!! How could we forget it was the time of year again to see the surfers from all over the world come join together for competitions held in Rainbow Watersports backyard. After the lesson, we raced over to join the commotion and cheer on all the contestants. We had famous, strong surfers ranging from John John Florence to Fredrick Patcchia and they all looked like they were having a blast on the water. In the end we congratulated Maui’s Sebastian Zietz for taking the gold! Oh and I’ll tell you why sometimes it is easy to forget.. because the Anahulu River is just so calm! It is crazy the difference between the North Shore waves to the protected Haleiwa Bay that leads in to the River under the Rainbow Bridge. What an adventure! Come join us on the water!